Founded in 1997 in Taiwan, HTC began its journey as a company and a design manufacturer. Eventually, the company began to manufacture their own phones and developed some of the most powerful Android phones. To begin with, HTC is a known name in the industry of smartphones. They have pioneered smartphone technology by becoming the first to use the popular Android software on their phones. With their Desire range, they became one of the best-selling smartphones in the mass market. The HTC One range has been given a string of prestigious awards by popular gadget sites. The premium build quality and design of the phones are the highlights with HTC mobiles. Unlike most of their android rivals, HTC does not use plastic shells. Instead, they give you an aluminum uni-body that is long lasting and sturdy. The BoomBase stereo technology makes these smartphones stand out from the rest. They also have better speaker effects with their front facing speakers. It boils down to what type of handset you are looking for. If you want a top-end handset, you can choose any model from the HTC One series. 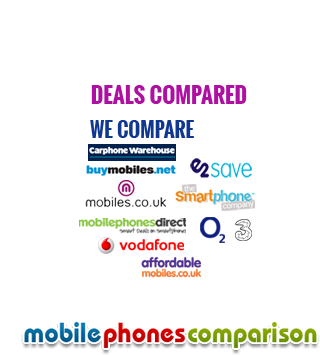 If you are looking at a good budget handset that gives you complete value for money. HTC One phones also have better quality UltraPixel cameras for those who are looking for great picture quality in their handset. Phones in both series are powered by the HTC sense software and give you a host of impressive features.